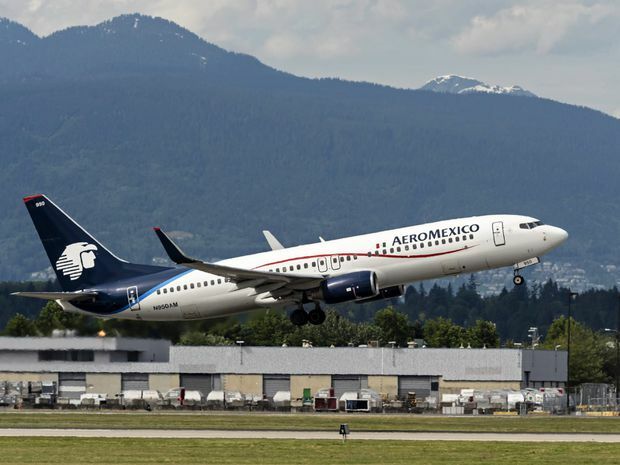 An Aeromexico jet takes off from Vancouver International Airport in 2016. The Mexican airline already owns a majority stake in PLM. Aimia Inc. has received its second hostile bid in as many days − this time for its large stake in Mexico’s leading frequent-flyer program. The day after Air Canada launched a hostile offer for Aeroplan, the loyalty-rewards program owned by Aimia, Grupo Aeromexico announced its own bid to acquire Aimia’s 49-per-cent stake in PLM Premier for US$180-million, or $235-million. PLM runs Club Premier, Mexico’s frequent-flyer program, which has partnered with national airline Aeromexico. The airline already controls the majority stake in PLM. Aimia turned down the offer in a matter of hours, arguing that Aeromexico undervalued the asset. Air Canada’s bid remains outstanding. On Wednesday, the airline and three financial institutions proposed buying Aeroplan, Aimia’s most valuable asset, at a heavily discounted price. Its offer expires on Aug. 2. However, it is possible Aeromexico returns with a higher offer. On a quarterly conference call on Thursday, Aeromexico chief executive Andres Conesa suggested he won’t back down. Aeromexico’s takeover strategy echoes that of Air Canada. When announcing its offer, the Mexican airline revealed it had informed Aimia that its contract with Club Premier “will not be extended beyond its current expiration date.” The contract runs until 2030 and Club Premier had 5.5 million members enrolled at the end of 2017. Last year, Air Canada announced that it would not renew its partnership contract with Aeroplan, adding that it planned to build its own loyalty program in-house. The news sent Aimia’s shares tumbling. Air Canada has since reversed course and decided against building its own program – hence, the hostile bid for Aeroplan this week. However, Aimia’s shares have never recovered from the original news. Before the Aeroplan offer this week, its stock was still down 72 per cent from the time Air Canada proposed a breakup. “If it wasn't obvious yesterday, it's increasingly clear today that Aimia is being pushed into selling off its pieces by larger partners who always had a stronger bargaining position in these assorted relationships,” National Bank Financial analyst Adam Shine wrote in a research note. Aimia’s shares closed at $3.44 on Thursday, up 1.4 per cent. They remain 61 per cent lower than their value the day before Air Canada’s original breakup announcement. If both Aeroplan and the PLM stake are eventually sold, Aimia will be left with little else. Earlier this year, the company unloaded Nectar, its loyalty-rewards program in Britain. The division used to be a major asset for Aimia, but its value deteriorated in recent years. Nectar was acquired in 2007 for $755-million, yet in February, it was sold to Sainsbury’s for a net price of $34-million – 95 per cent less than what Aimia had paid for it. Shortly after the sale, Aimia announced a leadership change. Mittleman Brothers, a New York-based firm that invests in “severely undervalued securities,” had become Aimia’s largest shareholder, with an 18-per-cent stake, and it named partner Jeremy Rabe as Aimia’s new CEO. Mr. Rabe has a history in the loyalty-rewards market, having previously run PLM, and he had also worked for Aeromexico. Since taking over in late April, he has announced plans to morph Aeroplan into a more flexible frequent-flyer program, one that will allow its members to book seats on any airline come 2020. However, because there has been so much uncertainty around the company’s future, some Aeroplan members started redeeming points at faster rates than normal. Accelerating redemptions are troublesome for Aimia, because as of April 30, the company had slightly more than $300-million reserved for the $2-billion in rewards for which it was liable. 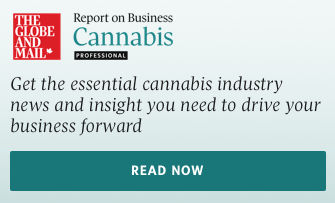 As part of its own bid, Air Canada, along with its its three partners − Toronto-Dominion Bank, Canadian Imperial Bank of Commerce and Visa Canada Corp. − has offered to absorb this liability.